The three primary spellings are chili, chile and chilli, all of which are recognized by a wide variety of dictionaries. 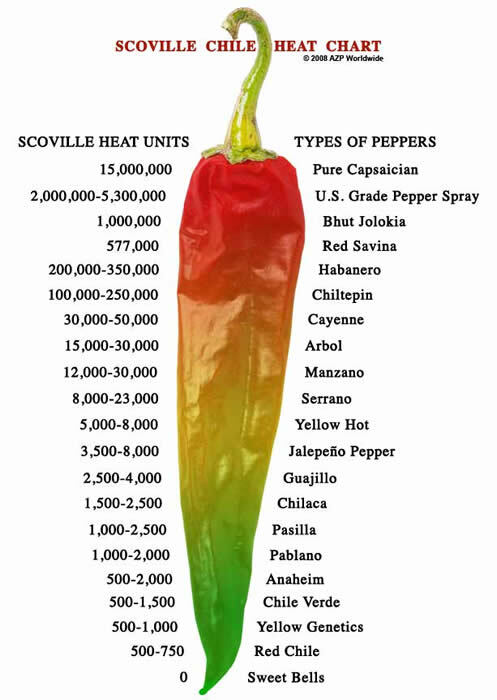 Chili is widely used, although in much of South America the plant and its fruit are better known as ají, locoto, chile, or rocoto. However, this spelling is discouraged by some in the United States, since it also commonly refers to the popular Southwestern American dish — also known as chili con carne (literally chili with meat) — as well as to the mixture of cumin and other spices (chili powder) used to flavor it. Chili powder and chile powder, on the other hand, can both refer to dried, ground chili peppers. Chile is an alternate usage, the most common Spanish spelling in Mexico, as well as some parts of the United States and Canada, which refers specifically to the plant and its fruit. In the American southwest (particularly northern New Mexico), chile also denotes a thick, spicy, un-vinegared sauce, which is available in green and red varieties and is quite often served over numerous types of New Mexican cuisine. Chilli was the original Romanization of the Náhuatl language word for the fruit and preferred British spelling according to the Oxford English Dictionary, although it also listschile and chili as variants. This spelling is discouraged by some, since it would be pronounced differently in the Spanish language, into which it was first Romanized. Learn how to make this Mexican classic that will add a kick to your coffee routine. The blend of spices and cocoa perfectly complement the coffee, resulting in a delicious beverage.